Full zip wind breaker, with two zipper front pockets. Also has reflective piping at shoulder yoke and center back yoke. 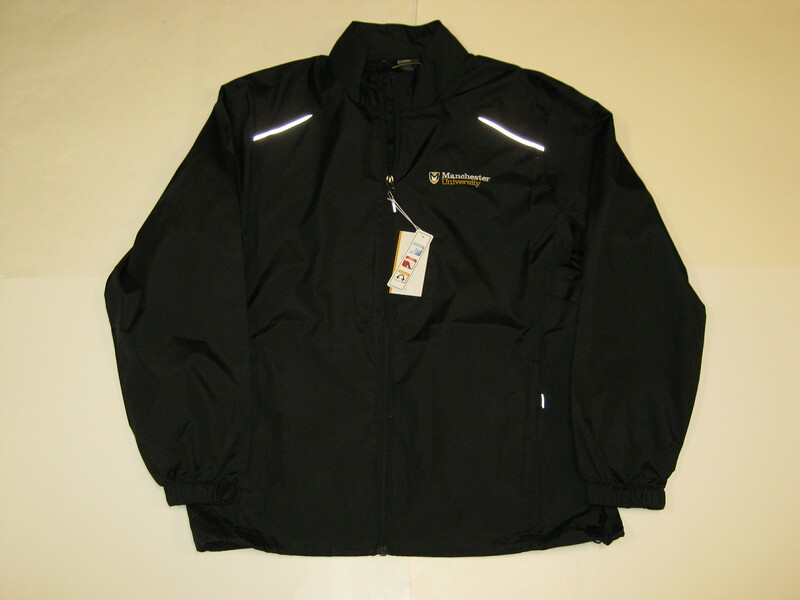 The jacket has the Manchester University logo embroidered on the left upper chest and an internal pull string on inside. The fabric is 100% polyester.